Summer is here! This is truly the most beautiful time of year in Mammoth. 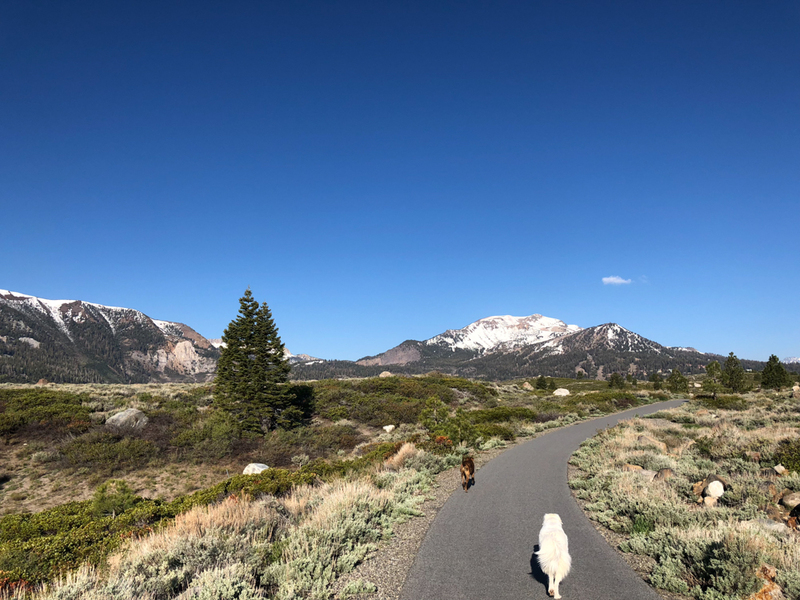 Yes, the few hours after a new snowfall are gorgeous but June in Mammoth is breathtaking. There are ten new listings that came on the market in the last week. Eight condos and two houses. 1+1.25 Viewpoint #119. Listed for $369,000. Corner unit. This complex is just off Main St below The Village and Nevados. Walking distance to both. 1+1 San Sierra #1. Listed for $325,000. Corner unit. This complex is above The Village. Walking distance to Village shops, restaurants and gondola to Canyon Lodge. 2+2 Lincoln House #3310 Listed for $639,000. 3rd floor in The Village overlooking the pool. Steps from restaurants, shops and the gondola up to Canyon Lodge. On a nightly rental program – gross rental income from Jan 1st 2018 to June 3rd 208 was $41,622. Your mileage may vary. 2+2 White Mountain Lodge #2329 Listed for $599,000. 3rd floor in The Village with views to the Sherwins. Steps from all The Village has to offer. 2+2.75 Forest Creek #29 Listed for $369,000. End unit on the fantastic Mammoth Lakes Bike Path. Quiet side of the complex. Private hot tub. 2+loft+2 San Sierra #17 Listed for $415,000. End unit. Already in ESCROW. 4+3 Mammoth Point #122 Listed for $529,000. Great views from this 4+3 unit at Mammoth Point. 4+3 762 Fairway Circle Listed for $950,000. Sunny townhome in Snowcreek V with views and backing to US Forest Service land. 4+2 21 Crystal Lane Listed for $799,000. Walk to The Village. Views and sun. Large flat driveway and one car garage. 4+3 86 Beaver Court Non-conforming duplex on a quiet cul-de-sac. Already in ESCROW. Come and join us at The Village for Summer Jam. Great music, great food and incredible cocktails. If you are looking to volunteer and have fun then come on out to June Lake for the 9th Annual June Lake Trail Day. 8:30 start. Breakfast and lunch provided and prizes include a June Mountain Season Pass, Patagonia gear and gift certificates.